Creating a business website or landing page with the MH Corporate WordPress Theme is very easy and you can do this within a few minutes just by placing some widgets on the fully widgetized homepage template. Here you can find more information about the theme setup of MH Corporate. 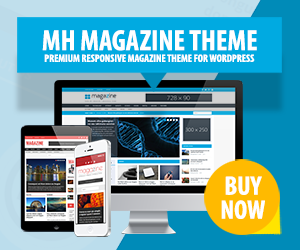 The basic setup of the theme, like creating a static front page, is identical with the MH Magazine WordPress Theme. You can find instructions regarding the basic setup in the documentation for MH Magazine. In case you are new to WordPress, we recommend that you have a look at some basic WordPress tutorials first. A good place to start is: Getting Started with WordPress. The “People” page in the theme demo has been built with the same approach, but instead of adding two colums, you’ll need to add four columns (one column for each team member). Using built-in shortcodes is great to easily add styled content to your site. But please keep in mind that there also are disadvantages, especially when you want to keep your content portable. Portable content means that you can easily switch themes without having to modify content, for example getting rid of shortcodes that are no longer supported by your new theme. You can easily prevent these kind of issues by using a plugin for shortcodes instead. A plugin that provides for example a lot of shortcodes is “Shortcodes Ultimate”. You can find more tutorials in the tutorial section and if you have a question or need help, then don’t hesitate to open a support ticket at the helpdesk and we will be more than happy to assist you.